G.R. No. L-45839 June 1, 1988 - RUFINO MATIENZO, ET AL. v. LEOPOLDO M. ABELLERA, ET AL. G.R. Nos. L-54768-54878 June 8, 1988 - FELIX CARDOZ, ET AL. v. TALISAY-SILAY MILLING CO., INC., ET AL. G.R. No. L-60494 June 8, 1988 - MATEO BACALSO, ET AL. v. COURT OF APPEALS, ET AL. G.R. No. L-77632 June 8, 1988 - ABE INDUSTRIES, INC., ET AL. v. COURT OF APPEALS, ET AL. G.R. No. L-37999 June 10, 1988 - EXECUTIVE SECRETARY, ET AL. v. COURT OF APPEALS, ET AL. G.R. No. L-41427 June 10, 1988 - CONSTANCIA C. TOLENTINO v. COURT OF APPEALS, ET AL. G.R. No. L-44001 June 10, 1988 - PAZ MERCADO, ET AL. v. COURT OF APPEALS, ET AL. DALE SANDERS, ET AL. v. REGINO T. VERIDIANO II, ET AL. G.R. No. L-39086 June 15, 1988 - ABRA VALLEY COLLEGE, INC. v. JUAN P. AQUINO, ET AL. G.R. No. L-56565 June 16, 1988 - RICARDO L. COOTAUCO v. COURT OF APPEALS, ET AL. G.R. No. L-66741 June 16, 1988 - ANTHONY SY, SR., ET AL. v. INTERMEDIATE APPELLATE COURT, ET AL. G.R. No. 72721 June 16, 1988 - EMILIANO GAWARAN, ET AL. v. INTERMEDIATE APPELLATE COURT, ET AL. G.R. No. 74727 June 16, 1988 - MELENCIO J. GIGANTONI v. PEOPLE OF THE PHIL. G.R. No. 79128 June 16, 1988 - ORTIGAS & COMPANY Limited Partnership v. COURT OF APPEALS, ET AL. G.R. No. L-33568 June 20, 1988 - CHIU BOK v. REPUBLIC OF THE PHIL. G.R. No. L-33772 June 20, 1988 - FRANCISCO BONITE, ET AL. v. MARIANO A. ZOSA, ET AL. G.R. No. L-38634 June 20, 1988 - REPUBLIC OF THE PHIL. v. DELFIN VIR. SUNGA, ET AL. G.R. No. L-39789 June 20, 1988 - LUCIO LUCENTA v. COURT OF FIRST INSTANCE OF BUKIDNON, BRANCH VI, ET AL. G.R. No. L-39841 June 20, 1988 - MARSMAN & COMPANY, INC. v. FIRST COCONUT CENTRAL COMPANY, INC.
G.R. No. L-45833 June 20, 1988 - ROMAN MOSQUERRA v. WORKMEN’S COMPENSATION COMMISSION, ET AL. G.R. No. L-48084 June 20, 1988 - PEOPLE OF THE PHIL. v. MANUEL C. CUI, JR.
G.R. No. L-48619 June 20, 1988 - FRANCISCO O. TAN v. COURT OF APPEALS, ET AL. G.R. No. L-49872 June 20, 1988 - FELIPE DE VENECIA, ET AL. v. COURT OF APPEALS, ET AL. G.R. No. L-58312 June 20, 1988 - V. C. PONCE CO., INCORPORATED v. COMMISSION ON AUDIT, ET AL. G.R. No. L-61689 June 20, 1988 - RURAL BANK OF BUHI, INC., ET AL. v. COURT OF APPEALS, ET AL. G.R. No. L-67588 June 20, 1988 - ALEJANDRO MIRASOL, ET AL. v. INTERMEDIATE APPELLATE COURT, ET AL. G.R. No. 74563 June 20, 1988 - ASPHALT AND CEMENT PAVERS, INC. v. VICENTE LEOGARDO, JR., ET AL. G.R. No. L-75321 June 20, 1988 - ASSOCIATED TRADE UNIONS v. CRESENCIO B. TRAJANO, ET AL. G.R. Nos. L-77274-75 June 20, 1988 - DOMINADOR R. AYTONA v. CONRADO T. CALALANG, ET AL. G.R. No. 78590 June 20, 1988 - PEDRO DE GUZMAN v. ZOSIMO Z. ANGELES, ET AL. G.R. No. 79906 June 20, 1988 - RAFAEL BARICAN, ET AL. v. INTERMEDIATE APPELLATE COURT, ET AL. G.R. No. 82860 June 20, 1988 - HORNAN C. MACAMAY, ET AL. v. MELCHORA C. TEJANO, ET AL. G.R. No. 82914 June 20, 1988 - KAPATIRAN SA MEAT AND CANNING DIVISION v. PURA FERRER CALLEJA, ET AL. G.R. No. L-36003 June 21, 1988 - NEGROS STEVEDORING CO., INC. v. COURT OF APPEALS, ET AL. G.R. No. L-57293 June 21, 1988 - PEOPLE OF THE PHIL. v. JACKARIYA LUNGBOS, ET AL. G.R. No. L-65928 June 21, 1988 - ANDERSON CO, ET AL. v. INTERMEDIATE APPELLATE COURT, ET AL. G.R. No. L-41133 June 22, 1988 - PEOPLE OF THE PHIL. v. ANATALIO BOMBESA, ET AL. G.R. No. 73603 June 22, 1988 - PEOPLE OF THE PHIL. v. FELICISIMO HERNANDEZ, ET AL. G.R. No. 76673 June 22, 1988 - PHILIPPINE AIRLINES EMPLOYEES’ ASSOCIATION v. PURA FERRER-CALLEJA, ET AL. G.R. No. L-77202 June 22, 1988 - HEIRS OF BARTOLOME INFANTE, ET AL. v. COURT OF APPEALS, ET AL. G.R. No. 78993 June 22, 1988 - ANTONIO P. MIGUEL v. NATIONAL LABOR RELATIONS COMMISSION, ET AL. G.R. No. L-50733 June 23, 1988 - VICENTE T. OCAMPO, ET AL. v. EULOGIO R. LERUM, ET AL. G.R. No. 76836 June 23, 1988 - TRIUMFO GARCES v. COURT OF APPEALS, ET AL. G.R. No. 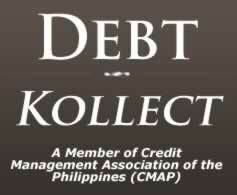 77437 June 23, 1988 - LEPANTO CONSOLIDATED MINING COMPANY v. NORMA C. OLEGARIO, ET AL. G.R. Nos. 78888-90 June 23, 1988 - CITIZENS’ ALLIANCE FOR CONSUMER PROTECTION v. ENERGY REGULATORY BOARD, ET AL. G.R. No. 81124-26 June 23, 1988 - ABACAST SHIPPING AND MGT. AGENCY, INC. v. NATIONAL LABOR RELATIONS COMMISSION, ET AL. A.C. No. 2756 June 27, 1988 - PRUDENTIAL BANK v. JOSE P. CASTRO, ET AL. G.R. No. L-33186 June 27, 1988 - ANUNCIACION DEL CASTILLO v. MIGUEL DEL CASTILLO, ET AL. G.R. No. L-41508 June 27, 1988 - CANDELARIO VILLAMOR, ET AL. v. COURT OF APPEALS, ET AL. G.R. No. L-41829 June 27, 1988 - PEOPLE OF THE PHIL. v. CIRIACO BAZAR, ET AL. G.R. No. L-44485 June 27, 1988 - HEIRS OF SANTIAGO PASTORAL, ET AL. v. SECRETARY OF PUBLIC WORKS and COMMUNICATIONS, ET AL. G.R. No. L-51377 June 27, 1988 - INVESTMENT & DEVELOPMENT, INC. v. COURT OF APPEALS, ET AL. G.R. No. L-56291 June 27, 1988 - CRISTOPHER GAMBOA v. ALFREDO CRUZ, ET AL. G.R. No. L-57839 June 27, 1988 - ROBERT YOUNG, ET AL. v. JULIO A. SULIT, JR., ET AL. G.R. No. L-66132 June 27, 1988 - FELIX ABAY, SR., ET AL. v. FELINO A. GARCIA, ET AL. G.R. No. 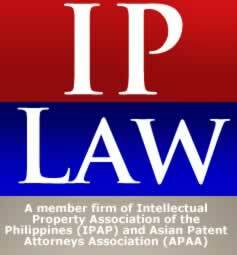 71640 June 27, 1988 - FILIPINO MERCHANTS’ INSURANCE CO., INC. v. INTERMEDIATE APPELLATE COURT, ET AL. G.R. Nos. 75271-73 June 27, 1988 - CATALINO N. SARMIENTO, ET AL. v. ORLANDO R. TUICO, ET AL. G.R. No. 76627 June 27, 1988 - MARIETTA Y. FIGUEROA v. SECURITIES AND EXCHANGE COMMISSION, ET AL. G.R. No. 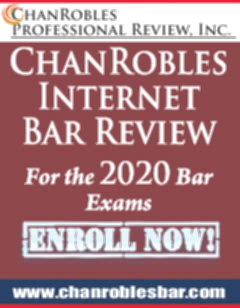 L-35603 June 28, 1988 - CENTRAL COOPERATIVE EXCHANGE, INC. v. NICOLAS T. ENCISO, ET AL. G.R. No. L-46443 June 28, 1988 - NONATO ROSALES v. EMPLOYEES’ COMPENSATION COMMISSION, ET AL. G.R. Nos. L-48144-47 June 28, 1988 - COMMISSIONER OF CUSTOMS v. COURT OF TAX APPEALS, ET AL. G.R. No. L-48958 June 28, 1988 - CITIZENS SURETY and INSURANCE COMPANY, INC. v. COURT OF APPEALS, ET AL. G.R. No. L-63671 June 28, 1988 - ROSALINA MAGNO-ADAMOS, ET AL. v. AGUSTIN O. BAGASAO, ET AL. G.R. No. L-67649 June 28, 1988 - ENGRACIO FRANCIA v. INTERMEDIATE APPELLATE COURT, ET AL. G.R. Nos. 71490-91 June 28, 1988 - ERNESTO BERNALES, ET AL. v. INTERMEDIATE APPELLATE COURT, ET AL. G.R. No. 74531 June 28, 1988 - PIZZA INN/CONSOLIDATED FOODS CORPORATION v. NLRC, ET AL. G.R. No. 76044 June 28, 1988 - PRAXEDIO P. DINGCONG v. TEOFISTO T. GUINGONA, JR., ET AL. G.R. No. 76271 June 28, 1988 - CEFERINO G. LLOBRERA v. NATIONAL LABOR RELATIONS COMMISSION, ET AL. G.R. No. 76744 June 28, 1988 - PEOPLE OF THE PHIL. v. SAMUEL RAMOS, ET AL. G.R. No. 77111 June 28, 1988 - LEOPOLDO SIRIBAN v. COURT OF APPEALS, ET AL. G.R. No. 78957 June 28, 1988 - MARIO D. ORTIZ v. COMMISSION ON ELECTIONS, ET AL. G.R. No. 79317 June 28, 1988 - EMILIANO ALCOS, ET AL. v. INTERMEDIATE APPELLATE COURT, ET AL. A.C. No. 3180 June 29, 1988 - RICARDO L. PARAS v. REYNALDO ROURA, ET AL. G.R. No. L-34589 June 29, 1988 - ENGINEERING CONSTRUCTION INC. v. NATIONAL POWER CORP., ET AL. G.R. Nos. L-38899-38901 June 29, 1988 - TEODORO V. JULIANO v. COURT OF APPEALS, ET AL. G.R. No. L-41376-77 June 29, 1988 - NORTHERN LINES, INC. v. COURT OF TAX APPEALS, ET AL. G.R. No. L-48368 June 29, 1988 - ROSINA C. GRAZA, ET AL. v. COURT OF APPEALS, ET AL. G.R. No. L-53724-29 June 29, 1988 - ROLANDO R. MANGUBAT v. SANDIGANBAYAN, ET AL. INVESTORS’ FINANCE CORP., ET AL. v. ROMEO EBARLE, ET AL. G.R. No. L-74156 June 29, 1988 - GLOBE MACKAY CABLE, ET AL. v. NATIONAL LABOR RELATIONS COMM., ET AL. G.R. No. L-77526 June 29, 1988 - VICENTE VER, ET AL. v. PRIMO QUETULIO, ET AL. G.R. No. L-77569 June 29, 1988 - RICARDO CELINO v. COURT OF APPEALS, ET AL. G.R. No. L-79174 June 29, 1988 - ERECTORS INCORPORATED v. NATIONAL LABOR RELATIONS COMM., ET AL. A.C. No. 2760 June 30, 1988 - ALFREDO A. MARTIN v. ALFONSO FELIX, JR.
G.R. No. L-30546 June 30, 1988 - VARSITY HILLS, INC. v. HERMINIO C. MARIANO, ET AL. G.R. Nos. L-32246-48 June 30, 1988 - ARCADIO CORTEZ, ET AL. v. COURT OF APPEALS, ET AL. G.R. No. L-34192 June 30, 1988 - NATIONAL INVESTMENT AND DEV’T. CORP., ET AL. v. BENJAMIN AQUINO, ET AL. G.R. No. L-37944 June 30, 1988 - CAYETANO DE BORJA v. COURT OF APPEALS, ET AL. G.R. No. L-38429 June 30, 1988 - CARLOS BALACUIT, ET AL. v. COURT OF FIRST INSTANCE OF AGUSAN DEL NORTE., ET AL. G.R. No. L-41337 June 30, 1988 - TAN BOON BEE & CO., INC. v. HILARION U. JARENCIO, ET AL. G.R. No. L-41805 June 30, 1988 - JOAQUIN CABRERA, ET AL. v. COURT OF APPEALS, ET AL. G.R. No. L-42665 June 30, 1988 - PEOPLE OF THE PHIL. v. SILVESTRE SUNPONGCO, ET AL. G.R. No. L-45825 June 30, 1988 - NGO BUN TIONG v. MARCELINO M. SAYO, ET AL. G.R. No. L-49120 June 30, 1988 - ESTATE OF GEORGE LITTON v. CIRIACO B. MENDOZA, ET AL. G.R. No. L-57675 June 30, 1988 - CARLOS DAYRIT v. COURT OF APPEALS, ET AL. G.R. No. L-61377 June 30, 1988 - DANIEL R. AGUINALDO, ET AL. v. SECURITIES AND EXCHANGE COMM., ET AL. G.R. No. L-67272 June 30, 1988 - BONIFACIO MURILLO, ET AL. v. SUN VALLEY REALTY, INC., ET AL. G.R. No. L-68147 June 30, 1988 - AMADA RANCE, ET AL. v. NATIONAL LABOR RELATIONS COMM., ET AL. G.R. No. L-69002 June 30, 1988 - REPUBLIC OF THE PHIL. v. AMANDA LAT VDA. DE CASTILLO, ET AL. G.R. No. L-69560 June 30, 1988 - INTERNATIONAL CORPORATE BANK, INC. v. INTERMEDIATE APPELLATE COURT, ET AL. G.R. No. L-72025 June 30, 1988 - PEOPLE OF THE PHIL. v. CARLOS COLINARES, ET AL. G.R. No. L-73681 June 30, 1988 - COLGATE PALMOLIVE PHIL. v. BLAS F. OPLE, ET AL. G.R. No. L-75034 June 30, 1988 - PEOPLE OF THE PHIL. v. FRANCISCO ALBIOR, ET AL. G.R. Nos. L-75063-64 June 30, 1988 - ELIZABETH ASIM, ET AL. v. RICARDO C. CASTRO, ET AL. G.R. No. L-75962 June 30, 1988 - GREENHILLS MINING CO. v. OFFICE OF THE PRESIDENT, ET AL. G.R. No. L-76344-46 June 30, 1988 - ANG KEK CHEN v. ABUNDIO BELLO, ET AL. G.R. No. L-77816 June 30, 1988 - PRESIDENTIAL COMM. ON GOOD GOV’T. v. BENJAMIN M. AQUINO, JR., ET AL. G.R. No. L-81958 June 30, 1988 - PHIL. ASSO. OF SERVICE EXPORTERS, INC. v. FRANKLIN M. DRILON, ET AL. G.R. No. 82188 June 30, 1988 - PCGG, ET AL. v. SECURITIES AND EXCHANGE COMMISSION, ET AL.